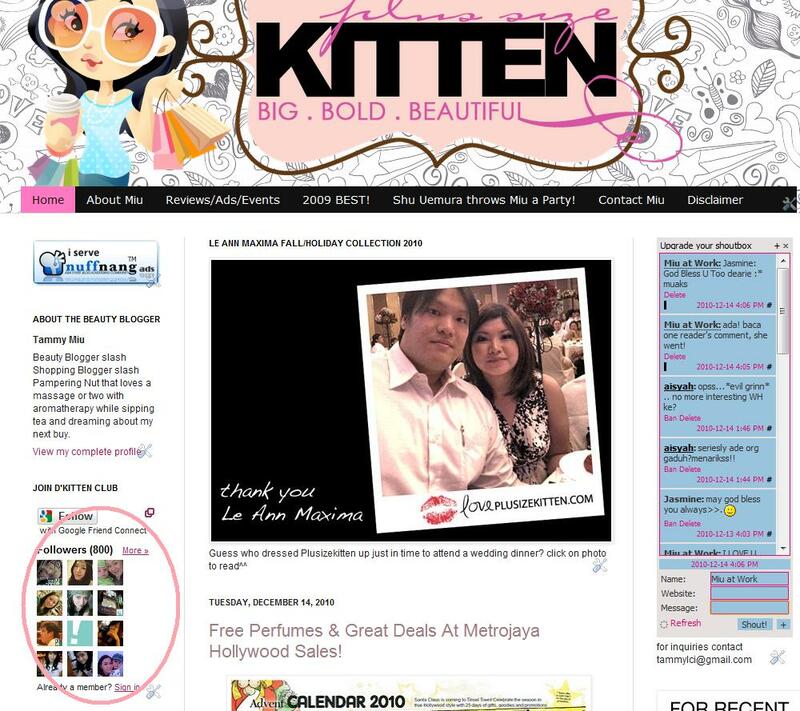 Plus Size Kitten: Plusizekitten The Shopaholic Beauty Blogger has now hit 800 Followers! 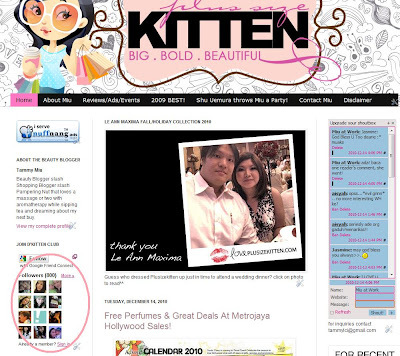 Plusizekitten The Shopaholic Beauty Blogger has now hit 800 Followers! all thanks to your support and love! It's been two years since I started blogging and no I didn't start blogging because of contests or getting freebies or talking about beauty products. It happened because I had to find an alternative to spending my time after quitting an addictive online game called World Of Warcraft (and of course before that I was wasting my youth in Ragnarok Online as a high priest name celes and a cool business under the name of an alchemist name Jade). My first post was about trying out FISH SPA could you believe it? then I guess it became more of a guess what I bought today, what I love, my shopping escapades, sales hunt, complaints on customer services, product-whoring (instead of camwhoring), sharing my time at workshops and events and trying out new things like as if I have more one face for it. It's just 800, thought not much I still loved everyone who reads and leaves comments! especially comments! (coz I get to know u!). Thanks for everything 800 of ya 'all, here's 800 kisses for you and wish me luck in betting on today's date for Magnum or Toto numbers! congrats tammy! i really appreciate ur posts becoz it is soooo relevant to us shopping kakis, thank you! congratS, Tammy..i been following your blog religiously and keep up your good work, cheers! This beauty blog contains really good information.I would like to read it again. For Number one quality bag....you must have this one.you will get quality as well as fashion. Read the blog and enjoy the services. I appreciate your post, i learn few things in this post, I have book marked this internet site so ideally I’ll see much more on this subject in the foreseeable future!